What’s the big word in real estate? Local company, McColly Real Estate has once again been recognized on a national level for their dedication and achievements. Monica Decker, McColly Real Estate Director of Marketing and Technology is proud to announce that a group of local agents have been named to the 2018 REAL Trends America’s Best Real Estate Professionals. “This honor is awarded to America’s most productive sales associates,” said Decker, “and we’re very proud the list includes McColly brokers. REAL Trends America’s Best Real Estate Professionals ranks over 13,800 residential real estate professionals solely based on their excellence in real estate sales during the past calendar year. “This group of highly successful real estate sales agents represents less than one percent of all real estate practitioners in the United States,” said Steve Murray, president of REAL Trends, a privately-held, Colorado-based publishing, consulting and communications company specializing in the residential brokerage and housing industries.  Adwerx one of the nation’s most prominent digital advertising companies has partnered with REAL Trends as a sponsor of the 2018 America's Best Real Estate Professionals. To qualify for this prestigious list, an individual agent must have closed at least 50 transaction sides or $20 million in sales volume in 2017. For real estate agent teams, the minimum is 75 transaction sides or $30 million in closed sales volume. Additional congratulations are in order for the Michelle Arseneau Team and the Schreffler-Winterroth Team in the McColly Bennett Real Estate location, each in Bourbonnais, Illinois. McColly Real Estate is the largest independent residential real estate firm in Northwest Indiana and the Chicago Southland. Since 1974, McColly has provided exceptional services for first-time, luxury, and resale home buyers and sellers, plus land, new construction and commercial investors. That commitment and dedication continues today and is evident by total sales as well as the stellar success of its agents. With offices in Lake, Porter, LaPorte and Jasper Counties in Indiana and Cook, Will, Kankakee, Iroquois and Ford Counties in Illinois, McColly has a finger on the pulse of each individual community. For the latest properties for sale, visit mccolly.com.